During my life span of developer I have contributed patches, suggestions etc. that it is the spirit of the open source community. The path to the source is available to me as a client. Once in a while you discover a few gems from the source thanking the contributors. That of course brings a smile to the contributor that his work is appreciated. Today I discovered a little gem from the past. The excellent EHCache has had recent activity so I was circling their website again, pointed in their direction by all the news sites, feeds and blogs. Well the EHCache team has taken the time to list a page of the team members and the contributors. Really nice. Thumbs up. Some years ago I was also told by my former colleagues from e-ma in China that they had found a snippet in iBatis where Clinton Begin thanks me. Now that the committers have ohloh as a kind aggregation of your contributions I have been thinking that there should be a similar service for all the contributors as well. Many of these contributors are the real heroes. They are out there working at the clients, in knee deep wrestling with the problems and knows where the pain is. 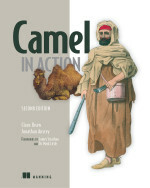 Now that I am an Apache Committer on the Apache Camel project I take all our contributors seriously and know what it feels like when the team behind responds. So if you haven't contributed, well you work is appreciated and its nice to have its name out in the opening. So dust of your patches from the open source frameworks you are using, create a JIRA account and submit your contributions. We need all the feedback and hard work from the end-users, the contributors, you, the real hero. CWSIA0084E - What planet is WebSphere from!